This product has been rated by Consumer Reports. Read the report to see how Omron stands out against competitors. The next step in eliminating heart attacks is here. 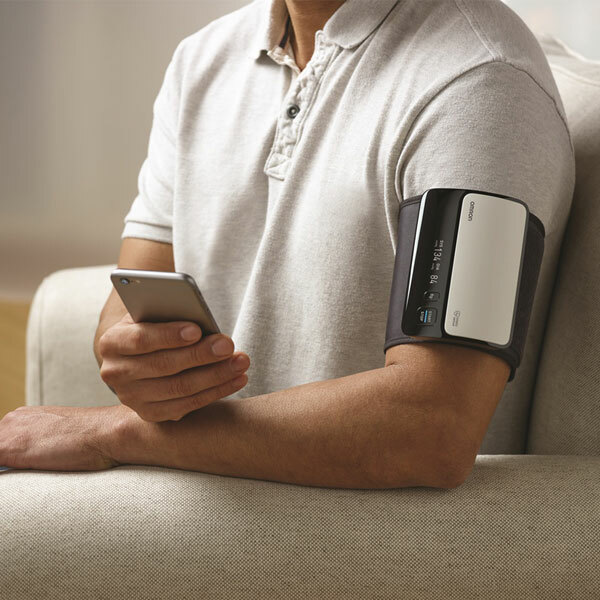 Our new Evolv® upper arm blood pressure monitor is compact, intuitive and clinically-accurate. Purchase direct from OmronHealthcare.com and register your device for a FREE extended warranty. 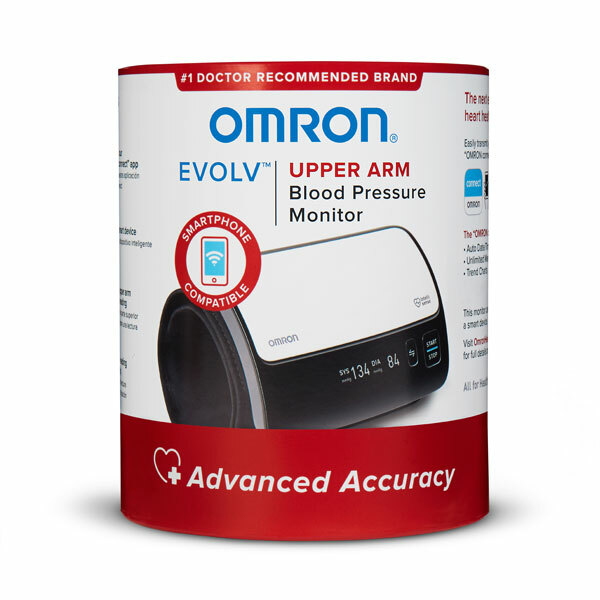 Purchase a blood pressure monitor, fitness device or TENS unit from OmronHealthcare.com and register the unit to receive an additional 1 year limited warranty. Offer does not apply to purchases from other retailers and accessories. This innovative upper arm one-piece blood pressure monitor uses our exclusive heart health algorithm, Advanced Accuracy. It measures more data points and eliminates interference from movement for more precise, clinically-accurate readings. It’s also redesigned from the ground up. We’ve eliminated the tubes and wires, making Evolv our most portable upper arm monitor ever. Plus, it’s sleek, contemporary design and highly intuitive controls make it easy to set up and use. 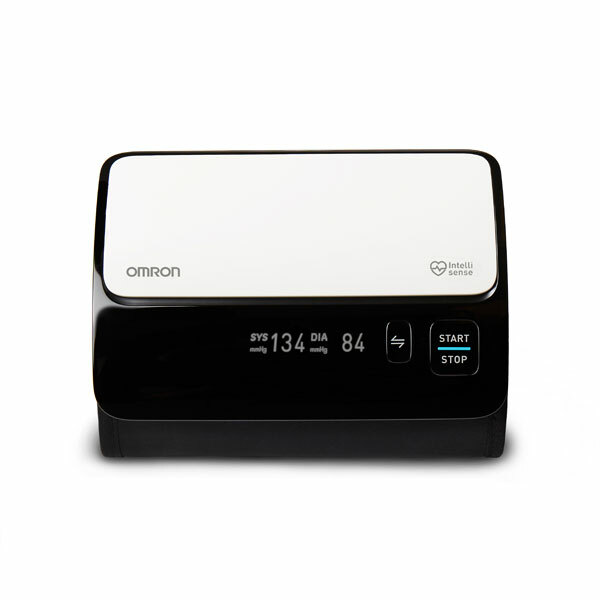 The Evolv wirelessly connects via Bluetooth to the Omron Connect app on your smart device to track and store your readings over time. Your BP7000 Upper Arm Blood Pressure Monitor, excluding batteries, is warranted to be free from defects in materials and workmanship appearing within 5 years from the date of purchase, when used in accordance with the instructions provided with the monitor. The above warranty extends only to the original retail purchaser. We will, at our option, replace without charge any monitor covered by the above warranty. Replacement is our only responsibility and your only remedy under the above warranty. Make the most out of your devices with Omron apps. They make it easy to track your health and include features that allow you to view your blood pressure at any time, track your log history and check for patterns, and email data to your family or physicians. 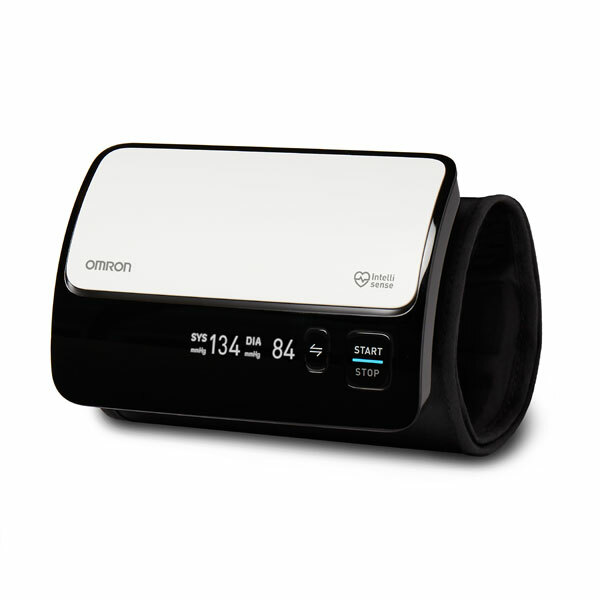 Simplify how you manage your blood pressure with the Omron Health app and Alexa, the cloud-based voice service from Amazon. Store and track your readings and even share them with your doctor! The ability to check your blood pressure easily, wherever you are, is essential not only to your health but to your peace of mind. When you do, it's important to have complete reassurance that your numbers are accurate. Get portability, convenience, and complete blood pressure accuracy right out of the box so you can go about your day with confidence.